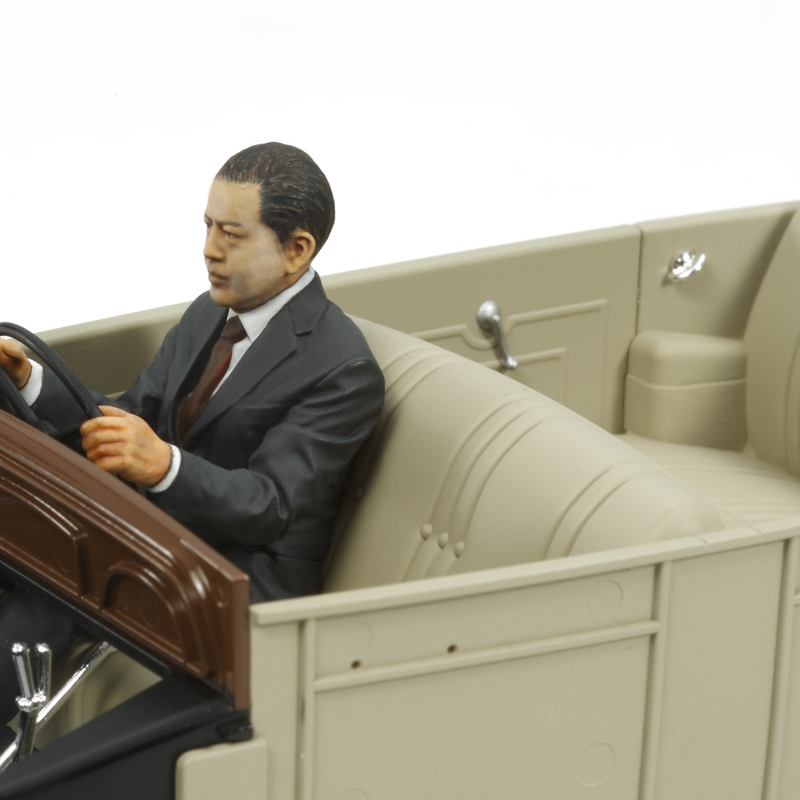 Toyota has become a major player in the global auto industry, but like other manufactures it had humble beginnings. 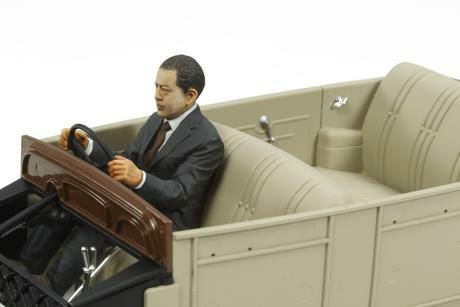 Tamiya recreates Toyota’s first “production” car known as the Model AA, which was built by the automobile section of the Toyoda Automatic Loom Works company. 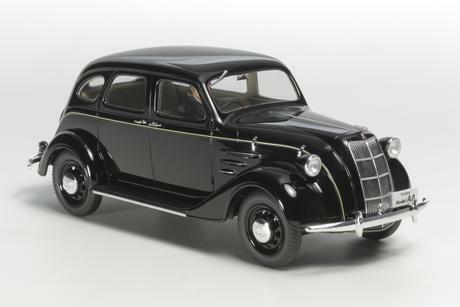 The Model AA was their first production car, released in 1936 and as it was still an internal department of Toyoda, this car bears the unfamiliar “–da” ending to the brand name (in 1937 the automobile division became an individual entity and changed to the Toyota name still used today). 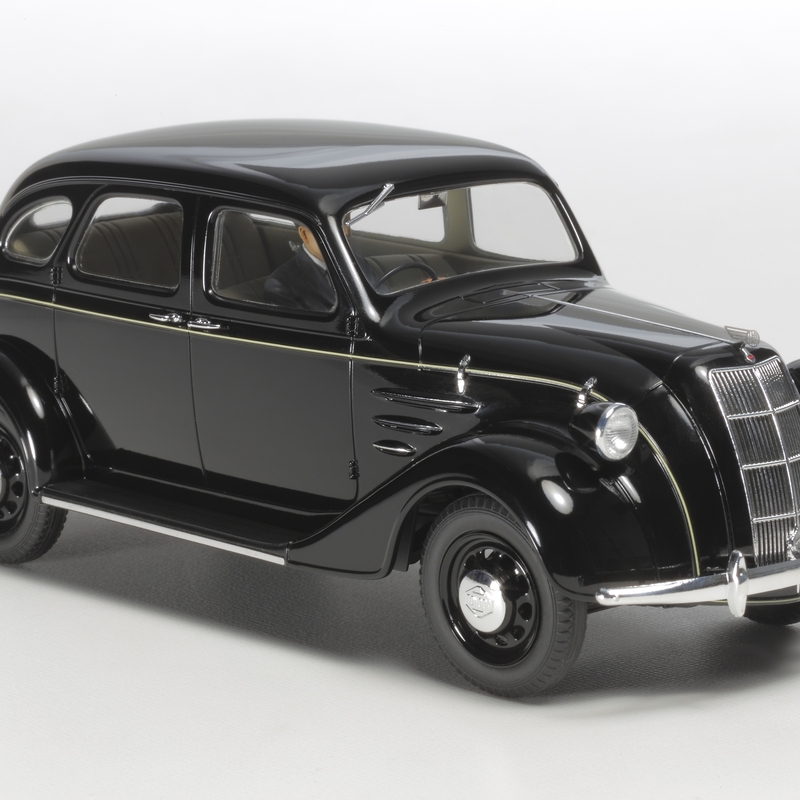 The Model AA was sold as a domestically designed and produced competitor to U.S.-made cars, its stylish and flowing body mounted on a ladder frame and the whole package powered by a 3.4-liter inline-6 engine. Around 1,400 AAs rolled out of the factory over its 6 years of production, an important first step in the making of the Toyota brand. Special Feature 1 Length: 202mm, width: 73mm, height: 75mm. Special Feature 10 Metallic decals recreate body side and bonnet detailing. 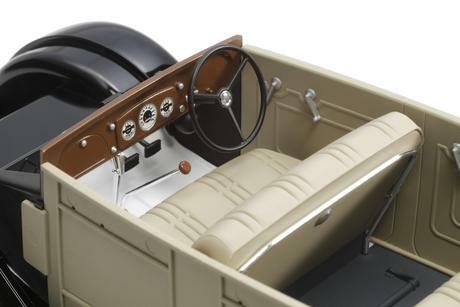 Special Feature 2 Finely-finished metal-plated parts recreate front grille, headlight parts and more. 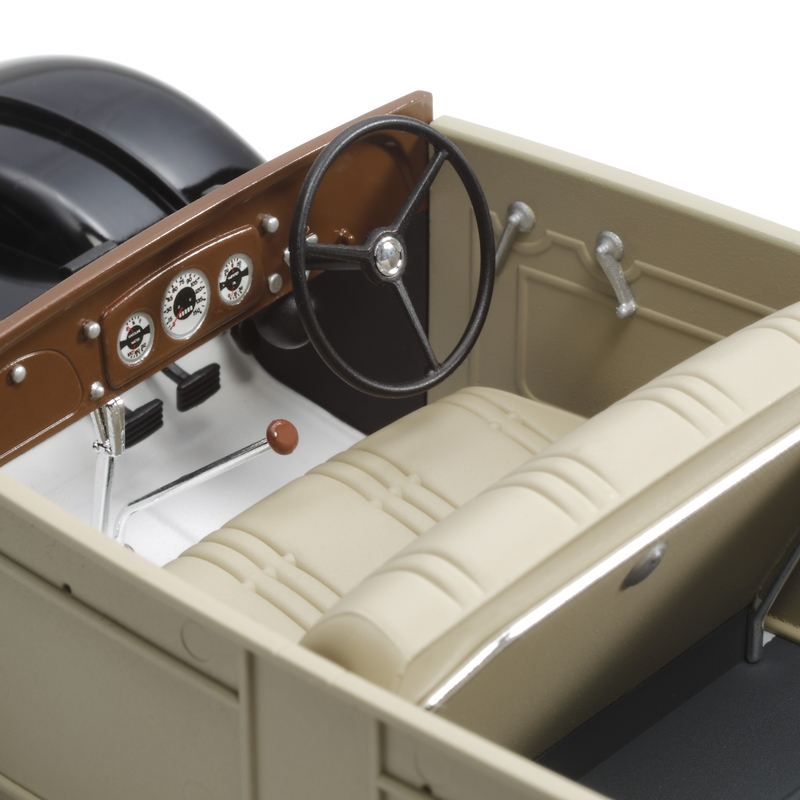 Special Feature 3 Break-down of the model mimics that of the real Model AA. Special Feature 4 The body is placed directly onto the detailed ladder frame. Special Feature 5 Detailed leaf spring suspension. Special Feature 6 Metal plated hub caps. Special Feature 7 Detailed interior included with highly-realistic driver figure. Special Feature 8 Comes with photo-etched parts to recreate the elegant front wing emblem. Special Feature 9 Metal-plated parts are utilized to recreate bumpers, front grille, and windshield wipers.